After Combat, A Veteran Finds Solace In Sheep Farming Army veteran Sgt. Mickey Willenbring was injured while serving in Iraq and also developed PTSD. Running a Navajo-Churro sheep farm has helped her cope with the lingering trauma of combat. 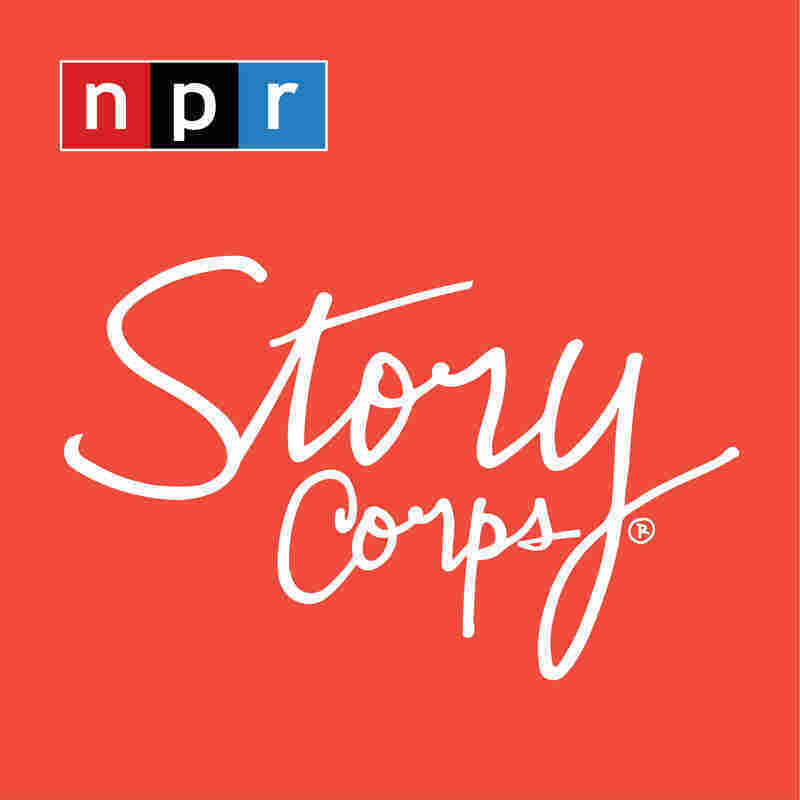 Mickey Willenbring told StoryCorps in January that running a Navajo-Churro sheep farm has helped her cope with PTSD symptoms. Army veteran Sgt. Mickey Willenbring has always been a fighter. 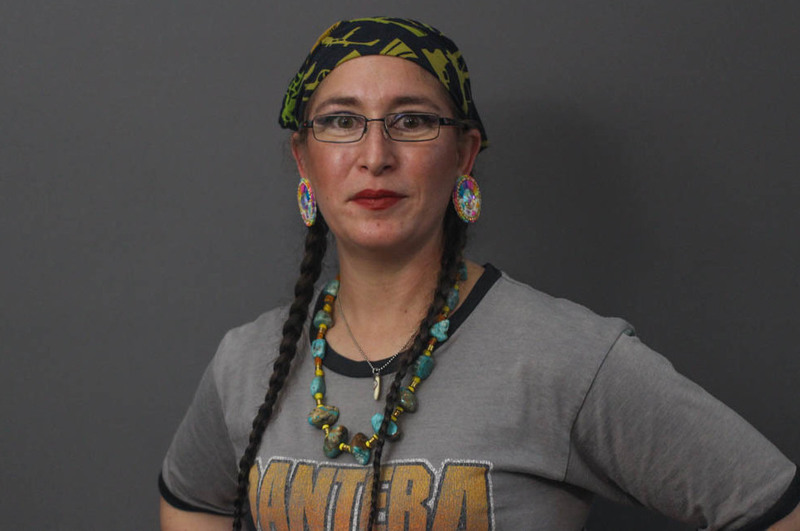 She grew up shuffling between homes — with her parents on the West Coast, with family on Native American reservations in the upper Midwest and within the foster care system across the country — during an adolescence she describes as sometimes violent. But the military struck Willenbring as a way to channel the aggression she says built up during an unstable upbringing. In 1998, Willenbring, then 20, enlisted in the Army and deployed to Iraq five years later. At StoryCorps, Willenbring remembers how her biggest fight would lie not on the battlefield, but in coming home. She returned from war with post-traumatic stress disorder, and has found calm as a sheep farmer in rural Oregon. In Iraq, she worked as a construction equipment mechanic. She earned certification to operate weapons mounted on vehicles on left-behind convoys. "I was one of the first women out of my entire battalion to get crew-served weapon certified," she says. "In other words, I got really big freaking guns. And fully-automatic grenade launchers." Her training also meant she was part of the combat in Iraq, before women were technically allowed in such roles. "We were actually part of the initial force to go in [to Iraq]," she says. "And I can't even describe the chaos. There were tanks still smoldering on the road that we had to move in order for our convoys to come through." Amidst the scenes of destruction, Willenbring recalls a quotidian sight that briefly jolted her from the stresses of war. "We had just gotten through the worst part of that, and all of a sudden I see this herdsman walking his dang sheep along the road," she says. "I was just like 'Damn, son, it don't matter what's smoldering or who is in charge or whose not in charge. The animals still need to be fed.' "
As her deployment wound down, Willenbring says, her luck ran out. "I ended up severely injured," she says. "I got medevaced out." She immediately returned to the U.S., and spent three years living in Salem, Ore., trying to go back to school. But she struggled adjusting to civilian life. Fireworks would trigger particularly difficult episodes. "I had PTSD so badly that I could not deal with living in a city anymore," she says. Instead, she moved far from the city noise. "I started looking for a piece of land to farm," she says. 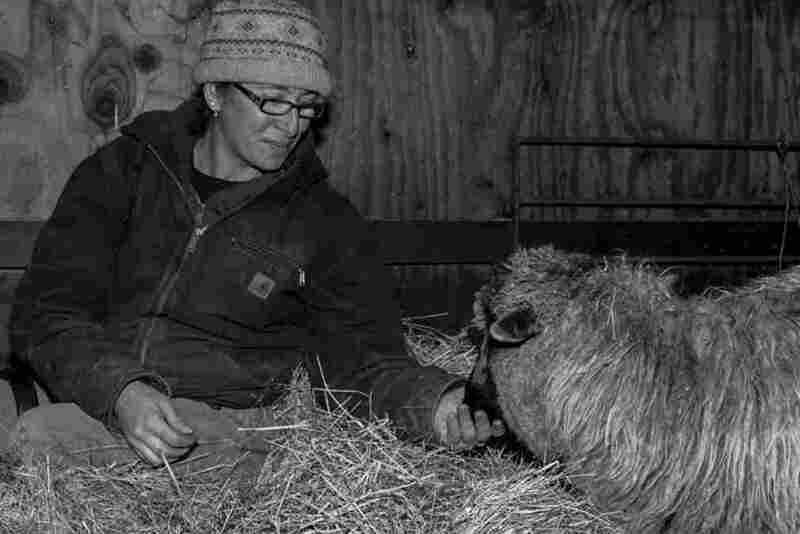 In 2010, Willenbring settled on a plot with sheep in rural Oregon. The sheep, she says, have helped her manage her trauma symptoms. She's surrounded by animals that mirror her emotions and keep her grounded. Mickey Willenbring tends to one of her Navajo-Churro sheep at Dot Ranch in Scio, Ore.
"The animals help, the animals insulate," she says. "I can tell my own mood, where I'm going, if I'm getting too dark or if I'm going too south by how the sheep react to me. And I can walk myself back from the cliff." Navajo-Churro sheep, America's first domesticated sheep, are prized in Navajo culture. Willenbring tends to the Churro breed on her farm. "There's a Navajo saying," she says. "It's 'dibé bé iiná,' and it means sheep is life. The sheep are your children, your mother, your grandmother. They are your charges, but they also take care of you." The slow pace of agrarian life is a stark contrast to the chaos of battle. Since starting her ranch farm eight years ago, Willenbring says she hasn't had a major episode related to her PTSD. "When you're in combat, danger can come at any particular moment from any direction," she says. Farming has its dramas, she says, "but it is also something that is about creation, about life over death rather than death over life."